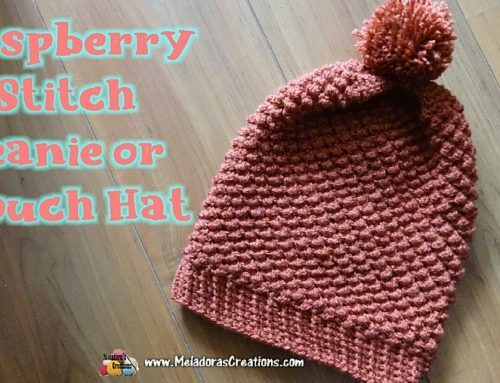 This Free Crochet pattern teaches you how to make a crocheted slouch hat using the Wavy stitch. 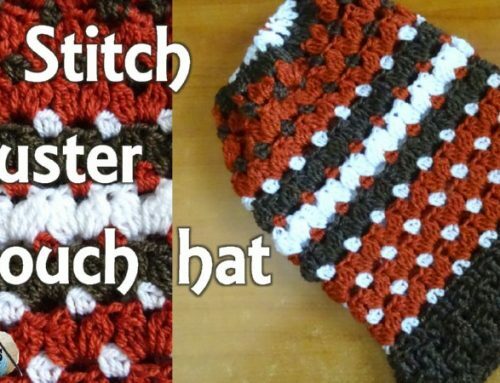 This shows you how to change colors while making hat. 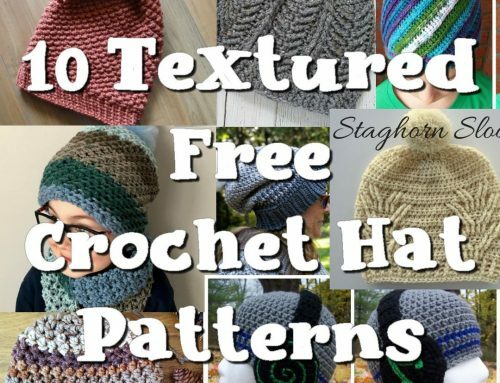 This slouch hat pattern can be adjusted to fit any size. 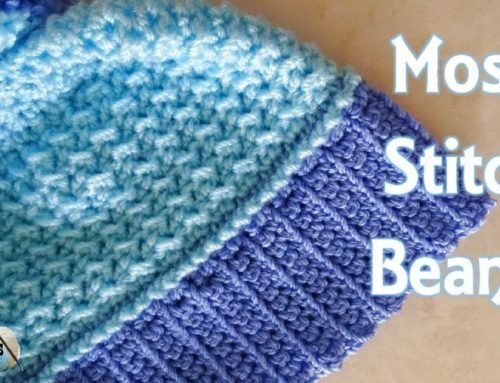 1 color for the waves and 1 color for the single crochet rows. I used scrap yarn that I had and went well together to make the hat above. I first saw this stitch here http://snasent.me/2012/08/08/oppskrift-pa-heklet-bolgeteppe/ and fell in love with it! I’m excited to share it with you! sc in each stitch around. 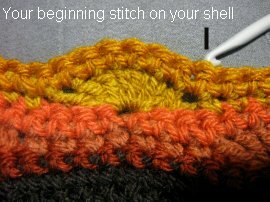 Place a marker marking your first stitch, you will be working in one continuous round. Now you have two options here, if you want to go with the 70 sts filp you band upside down and work with the bottom stitches. If you want a smaller tighter hat keep with the 56 sts side. do a sc attachment, then sc into the next 6 sts for a total of 7 sc’s in a row, sk 3 sts, *then dc 7 into same st, skip 3 sts and sc in the next 7 sts, skip three sts* repeat Sk 3 sts and sl st into beginning st. (56 sts or 70 sts) If at the end you have 4 spaces instead of 3 it’s okay just slip stitch into beginning st, ch 1 cut yarn. Repeat rounds 7 – 10 until your hat reaches 25 cms or 10 inches. sc in all sts around and at end of round sl st into next st and leaving a long tail to sew the top of the hat closed. 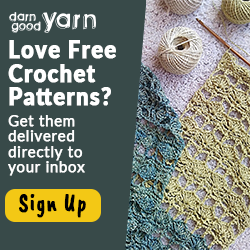 Pull yarn to make a knot and thread your tapestry needle. 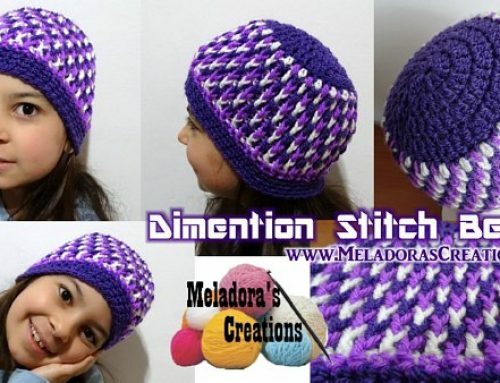 Weaving through the stitches like a draw string, go through all sts and turn your hat inside out. Pull string to tighten hole and sew in knots, even tie a few knots if you like. Weave in your ends and enjoy!